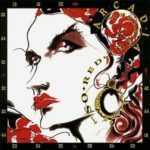 Duran Duran offshoot, Arcadia, will see their album So Red The Rose re-released in expanded form including a bonus disc and DVD, early next year. Due to be released on January 25th (according to Amazon), the collector’s edition will feature 19 bonus tracks and a DVD of all their music videos from the period, in addition to the original album. Formed by Simon Le Bon, Nick Rhodes and Roger Taylor in 1985, So Red The Rose saw four singles taken from it, the most successful of those being Election Day which peaked at No.7 in the singles charts. Looking back at the album 25 years later it’s a lot easier to see it in a different light, now it is separated from the landscape it inhabited back then. Duran Duran were clearly at a peak in their career commercially at this point, having recently been chosen to record the theme song for the James Bond movie A View To A Kill, and having had two big hit singles (The Reflex and The Wild Boys) and released a live album called Arena in the previous year. So more than a few eyebrows were raised at this project when it asked to be taken more seriously than Duran Duran. I’ve always had a soft spot for the album, then and now. Although it was trying to be more sophisticated, So Red The Rose does end up sounding very much like a less commercial Duran Duran sound (at that point). The first single Election Day, featuring Grace Jones on vocals, has a mysterious and moody sound with crisp production from Alex Sadkin. The song’s cryptic lyrics met with criticisms of pretension, and it’s lower than usual chart position led some journalists to take aim. The rest of the album is all good, Keep Me In The Dark could easily have come from Seven And The Ragged Tiger, whilst Goodbye Is Forever may well have passed for a Duran Duran single. The second side starts with the short instrumental Rose Arcana, before launching in to the album’s second single The Promise, which once again featured added vocals, this time from Sting. The single barely scraped the Top 40, and the album’s commercial aspirations died there. Also featured on the album are David Gilmour and Herbie Hancock. Still, this is a great album for any fan of Duran Duran, and I’d put it right up there amongst some of their best work, the debut Duran Duran and the later Big Thing, and it’ll really be worth adding this to your collection. It’s maybe ironic that, much being made of this being only three fifths of Duran Duran at the time, the original five man line-up were not to release any new material together until 2004’s Astronaut, as Roger Taylor didn’t return with them when they came back the following year with Notorious. 1. Filming “Election Day” – Paris, France. September 1985. 3. Filming “The Promise” – Cote D’Azur, France. December 1985. 7. Filming “The Flame” – London Docklands. April 1986. 9. Filming “Missing” – London, England. December 1986. Update: This release has now been put back until April, so that it follows new editions of Duran Duran and Seven And The Ragged Tiger, due in March. This entry was posted on Monday, December 7th, 2009 at 1:41 am	and is filed under Music, Reviews. You can follow any responses to this entry through the RSS 2.0 feed. You can leave a response, or trackback from your own site.